When you are in the zone there is only time for you and your dog. Often handlers will say to me, “When I get nervous in the ring, so does my dog. It’s as if my nerves travel straight through the lead”. In fact, this is an old wives tale. Our nerves are not communicated via the lead. For our dogs, the lead is a purely mechanical device. Yes, it conveys commands. But no, it’s shouldn’t be regarded as a psychosomatic conduit that conveys all your emotions to your dog. What your dog expects from the lead is a set of mutually comprehensible signals. In this article I will explain by how focusing on the ‘now’ and not the ‘what if’ you can overcome ‘ring nerves’ in such a way that your dog will never know if you’re nervous or not. 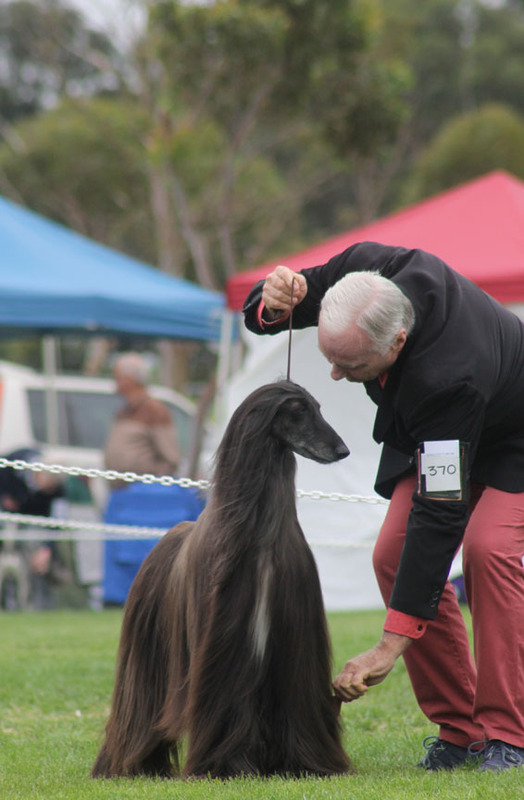 It’s completely natural for handlers to feel nervous or apprehensive before entering the show ring. This happens because we fear all the things that might go wrong. In our minds, we wonder: “Will my dog perform? Will they run well? Will I be in control? Will I make a mistake? Will I be embarrassed in front of the judge or – worse, still – will I be embarrassed in front of all my peers who are watching?” Oh, the pressure! The problem is, no matter how much we practice outside of the ring, when we become nervous in the ring, we change our modus operandi. The moment this happens our dog becomes confused about our intentions and what we require of them. Then, when our dog behaves differently to what we had hoped, we blame ‘nerves’ instead of logically reasoning out what, in fact, we are communicating to our dog who cares little or nothing about our somewhat trivial human fears. For our dogs, our nerves are not really their problem. What matters, as the ‘top dog’ is, what we do about them. 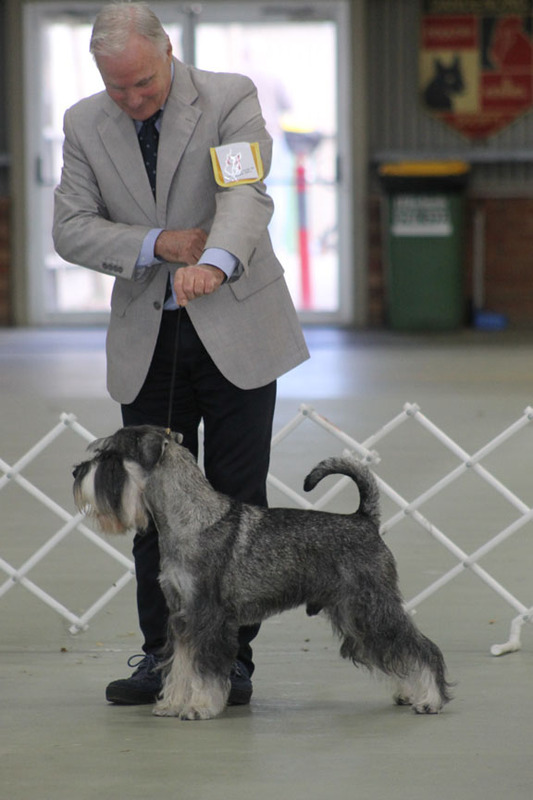 For example, you’ll often see handlers outside of the ring practicing signals and rewarding their dog’s desired response with gusto. Then, once the steward calls their number, the handler enters the ring with their dog and… silence! No verbal encouragement or reward, just physical contact via the lead. As our dogs do not logically reason out the cause for this change, immediately they become confused about what is required of them and it shows in their performance. However, the solution to this problem is simple. Focus on what you need to do rather than worrying about the judge, your peers or all the things that might go wrong. You might think sounds easier than it is, but it’s not. When you continue to communicate with your dog the same way in the ring as you do outside of the ring, your dog will respond accordingly. By concentrating intensely on what your goal is and what you need to do to achieve it, you will automatically start to focus on the task at hand rather than your nerves. In the zone, concentrating on the task at hand. Imagine yourself in a bubble where it’s just you and your dog. Focus on all the touch, sight and verbal signals that you’ve been practicing. Ignore everything else, and before long, you’ll be more concerned with what you and your dog are doing, than all ‘might’s’, ‘maybes’ and ‘what ifs’ – I guarantee it!